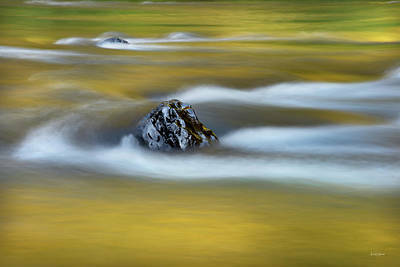 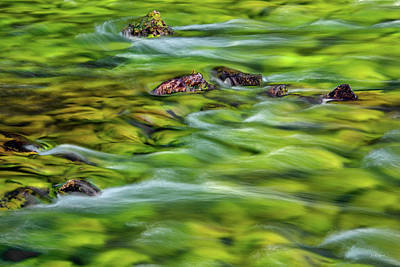 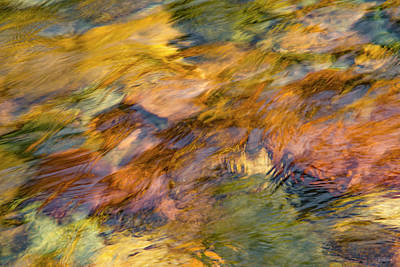 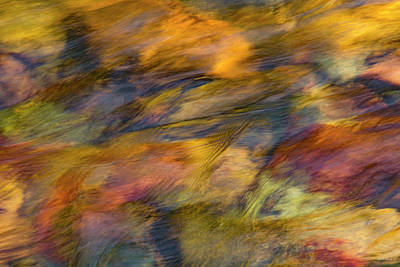 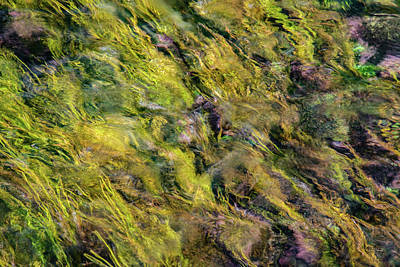 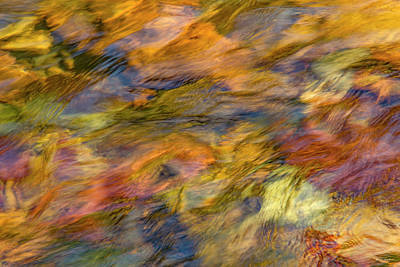 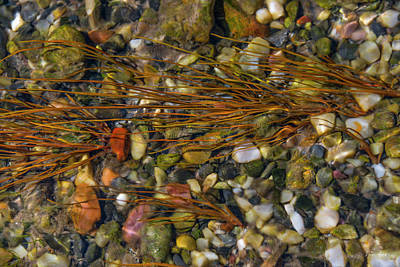 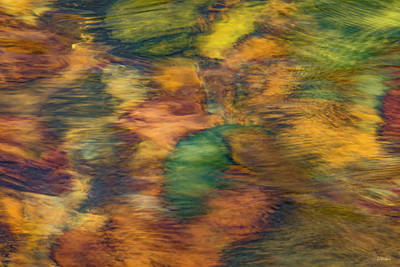 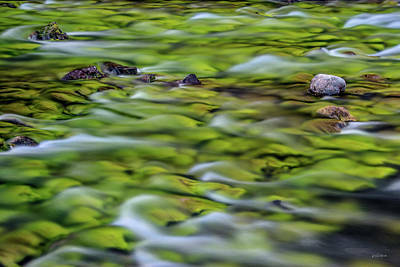 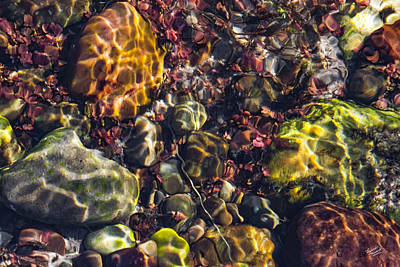 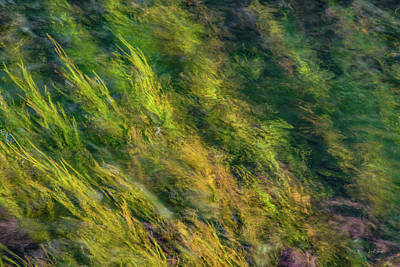 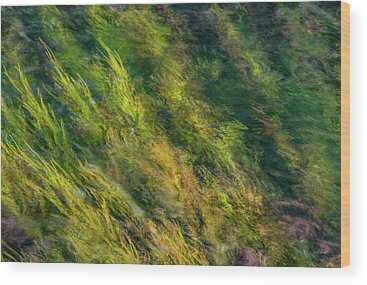 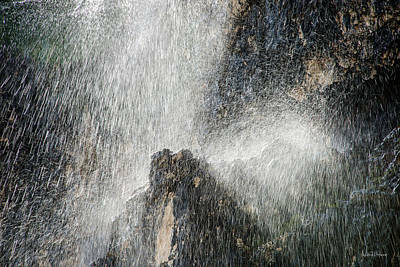 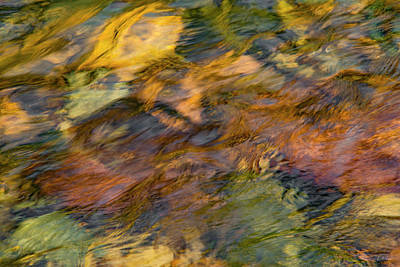 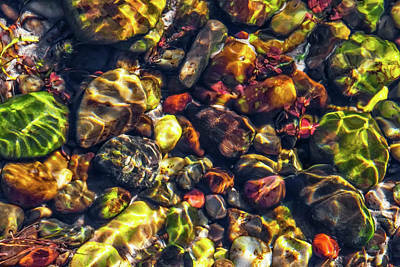 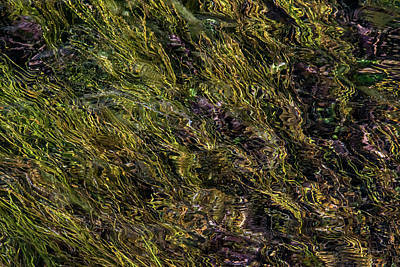 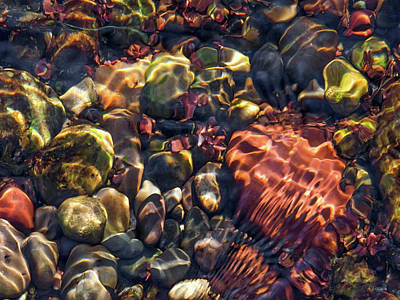 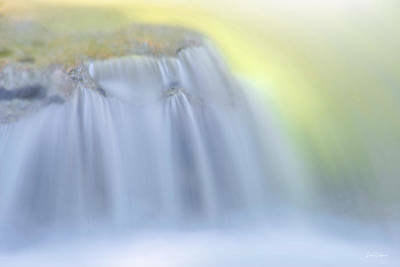 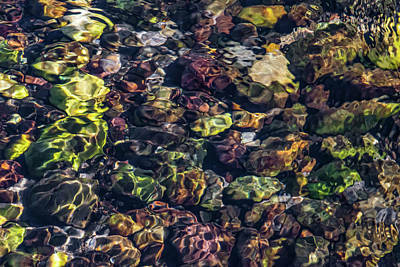 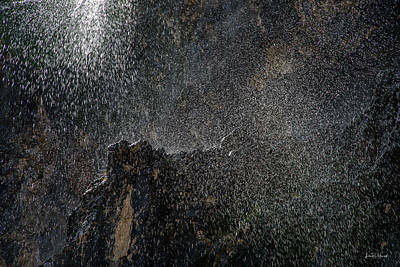 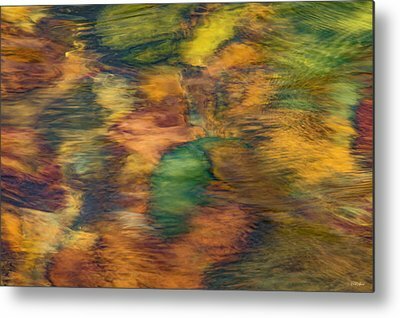 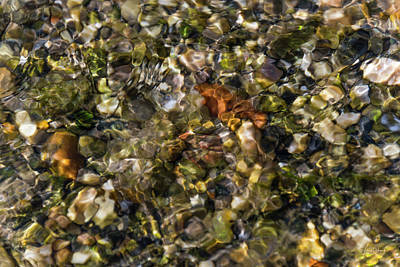 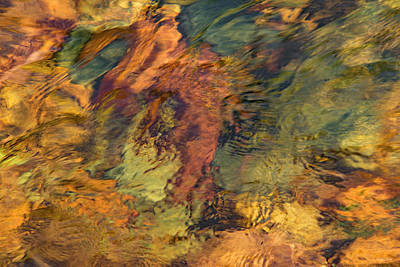 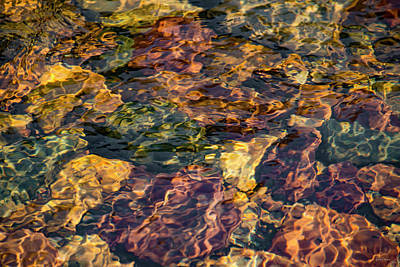 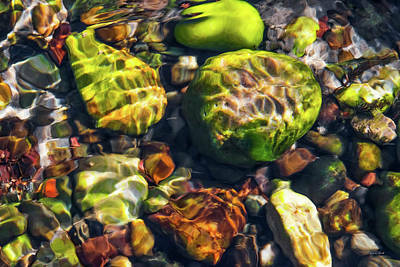 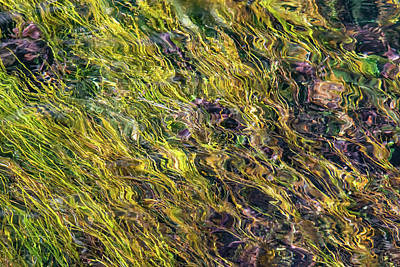 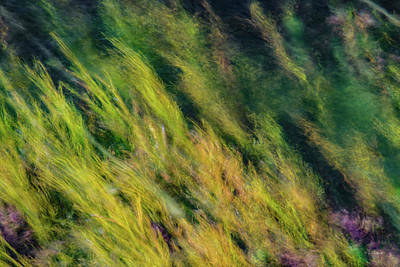 Waterscape images by Award Winning Photographic Artist Leland D Howard. 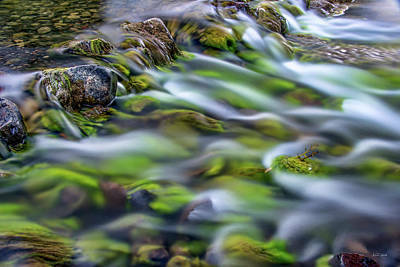 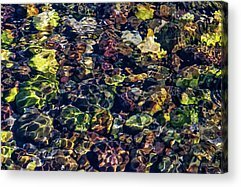 The flowing waters of a crystal clear creek create a bright and cheerful atmosphere with light flowing on the stones and moss underneath. 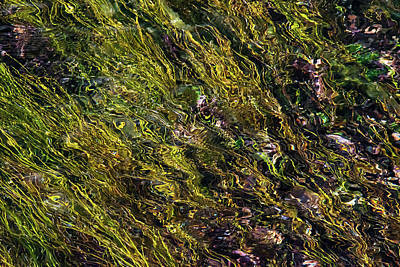 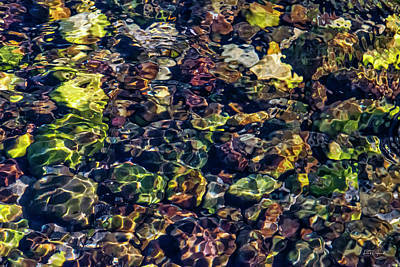 Patterns and form sparkle with radiant luminescence within the sunlit currents. 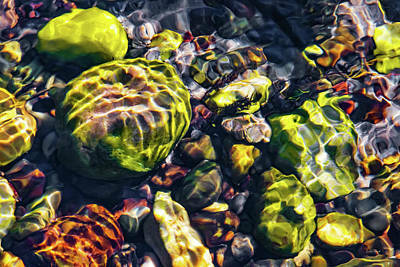 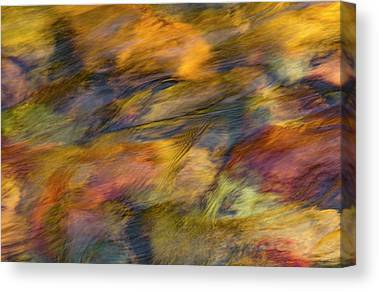 A pleasant and welcoming ambiance is included in the sense of movement and painterly textures.